Want to wake up each morning to a freshly brewed pot of coffee and a fully powered-on Mac? It’s easier than you might think. Just like the timer on your coffee machine, the built-in clock on your iMac or MacBook can start up—or shut down—your Mac on any schedule you choose, perfect for anyone (like me) who’s tired of waiting for their system to rouse itself after a night’s slumber. 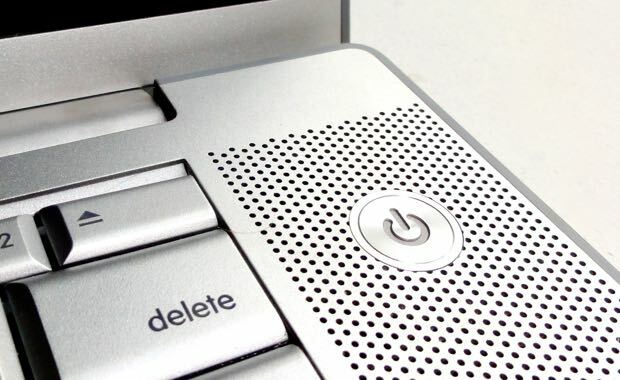 You can set your Mac to start up, go to sleep, restart, or shut itself down on any schedule you choose. Click the Apple menu in the upper-left corner of the screen, then select System Preferences. Next, click the Energy Saver icon, then click the “Schedule…” button in the bottom-right corner of the window. 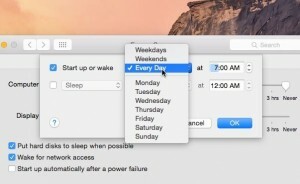 Want your Mac to power itself up every weekday at 7 a.m.? Check the box next to “Start up or wake,” then select “Weekdays” from the pulldown menu. Finally, set the timer to 7:00 AM. You can also set your Mac to shut itself down, restart, or put itself into “sleep” mode at a given time. Check the box next to the “Shut Down” pull-down menu, then set a weekly schedule and time. And don’t worry—your Mac will give you fair warning (10 minutes, to be exact) before it shuts itself down. All done? Click the blue “OK” button.